A taxpayer has the right to initiate an appeal of the current year's assessed valuation. The first step in the appeals process begins with written notification to the local assessing official. Taxpayers have 45 days from the date of the notice of assessment to initiate an appeal. If no notice of assessment is given, the notice of appeal must be filed not later than the later of May 10 of the tax bill year or 45 days after the date of the tax bill. Please note: Effective July 1, 2017, all appeals need to be filed on the Form 130 (listed below), and each parcel that is appealed needs to have its own petition filed. 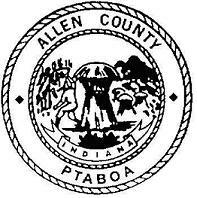 Due to a lack of business to discuss, there will be no PTABOA meeting in April. The next PTABOA meeting will be held May 16, 2019. Further questions about assessment appeals? Read this helpful FAQ . Please Note: The petition must be signed by the petitioner or an authorized representative. A representative must attach a notarized power of attorney unless the representative is a duly authorized employee or corporate officer of the company. 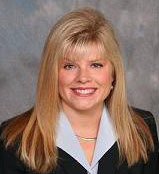 Certified tax representatives must attach a Tax Representative Disclosure statement. If you have an email address that we can contact you at, please list it on the appeal form. Please click here for additional appeal information from the Department of Local Government Finance. IMPORTANT: The filing information included here is limited to the appeals to the Allen County Property Tax Assessment Board of Appeals (PTABOA) and does not apply to appeals filed with the Indiana Board of Tax Review nor the service requirements applicable to those appeals. Any e-filing must be to the email address listed above. E-filing your PTABOA appeal to any other email address will not be accepted and will not constitute the filing of your PTABOA appeal. If you have any questions, please call the Office of the Allen County Assessor. For information regarding the Indiana Board of Tax Review appeals process, click here.